Betrayal: Clinton, Castro & The Cuban Five compiles over a decade of extensive research – including sworn testimony – that exposes senior Clinton Administration officials, including Sandy Berger, Bill Richardson, Richard Nuccio, retired Pentagon brass, U.S diplomats and even members of the U.S. media – who were warned by Castro of the impending shootdown – yet no one did anything on either side of the Florida Straits to stop the fateful flight or the murders. The Cuban government acknowledged that the five were intelligence agents in 2001, after denying it for three years. 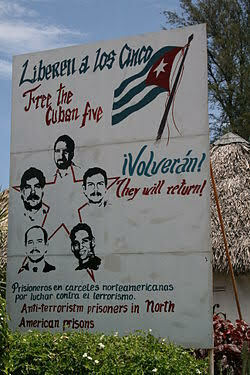 The Cuban Five were tried, convicted and sentenced to prison. In Cuba, the Five are viewed by the government as heroes and portrayed as having sacrificed their freedom in the defense of their country. After a decade long global propaganda campaign dubbed “Free the Five”, Cuban spy René González was given three years of parole in 2011. He was allowed to return to Cuba for his father’s funeral on April 22, 2013, with the understanding that he would return to Florida to fulfill his three years of probation. On May 3 a federal judge ruled that he could remain in Cuba provided that he renounce his United States citizenship. In May 2012, the U.S. refused an exchange of prisoners proposed by the Cuban government. That exchange would have seen the Cuban Five returned to Cuba in exchange for USAID contractor Alan Gross. Gross was imprisoned in Cuba for providing equipment that would allow Cuban Jews to have internet access – a violation of Cuban law. The reason American officials turned down the exchange was because the U.S. did not consider Gross the equivalent to the Cuban Five – one of whom had been convicted of double murder. Once Cuban spy Fernando González was released on February 27, 2014 – he returned to Cuba and campaigned for the release of the remaining three Cuban agents still held in U.S. jails. In the meantime the Obama and Castro governments continued secret negotiations working toward an exchange of prisoners. Those negotiations included U.S. Senator Patrick J. Leahy, who met with Adriana Pérez O’Connor, whose husband Gerardo Hernández was in prison serving life for the shootdown and murder of Brothers flight crews. Pérez O’Connor suggested Leahy arrange a way for her to become pregnant by her husband. Leahy made her case to U.S. officials, who then arranged for Gerardo Hernández to provide his sperm for artificial insemination. The prisoner exchange finally took place in December 2014. In exchange for the three remaining Cuban spies – including Gerardo Hernandez – Cuba released Rolando Sarraff Trujillo, a Cuban who had worked as an agent for American intelligence until his arrest in November 1995. He was returned to the United States. Sarraff, a key figure in Cuban intelligence, was a cryptologist who provided the Central Intelligence Agency with information that helped the CIA arrest Cuban spies long after his arrest and imprisonment. The exchange of the Cuban spies also coincided with Cuba’s release of American contractor Alan Gross – although both governments characterized the release of Gross as unrelated to the spy exchange. President Obama took the liberty to parade Gross before the nation during a subsequent State of the Union address. Today, the Cuban government continues spying on the United States as they attempt to secretly negotiate the release of Ana Belen Montes, Cuba’s “Queen of Spies”, a DIA analyst and double agent who was arrested and charged with conspiracy to commit espionage for the government of Cuba. It is now believed she’d already been a double agent working for the Cubans when she was hired by the Defense Intelligence Agency in 1985. Montes pleaded guilty to spying and in October 2002 and was sentenced to a 25-year prison term followed by five years’ probation. As of July 2016, Montes was incarcerated at FMC Carswell in Fort Worth, Texas. FMC Carswell is listed by the Federal Bureau of Prisons as a facility located in the northeast corner of the Naval Air Station, Joint Reserve Base, Fort Worth that specializes in medical and mental health services for female offenders. Her tentative release date is listed as July 1, 2023. A Brothers to the Rescue Cessna 337 on a Search and Rescue Mission. The four Brothers who were murdered in cold blood. Cuban spy Juan Pablo Roque infiltrated the Brothers to the Rescue and assisted in the planning of the shootdown — he escaped to Cuba the night before the attack; a warrant for his arrest remains outstanding in the USA. This mission map shows the location of the two planes that were shot down. 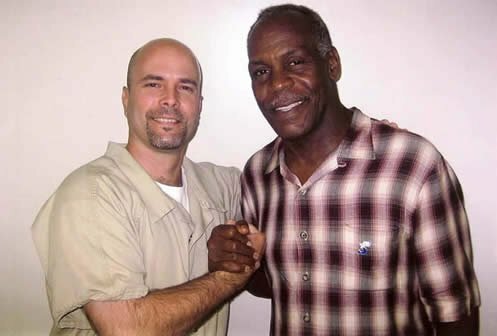 Cuban 5 spy Gerardo Hernandez with Cuban sympathizer and actor, Danny Glover – who is most recognized for his role in the Lethal Weapon film series. 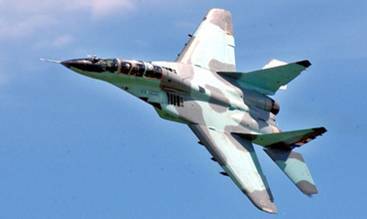 A Cuban Air Force MiG-29UB, similar to the one that was used to ambush and shoot down the two Brothers to the Rescue aircraft. 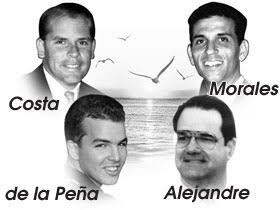 The Cuban Five infiltrated South Florida and the Brothers to the Rescue organization to plot and plan the shoot down of civilian aircraft. 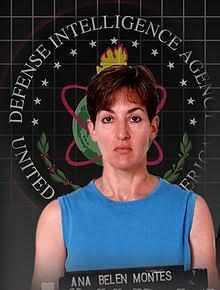 Ana Belen-Montes, Defense Intelligence Agency analyst and Queen of the Cuban spies. 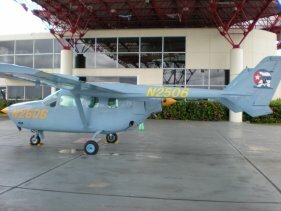 The plane that escaped, Cessna Skymaster N2506. 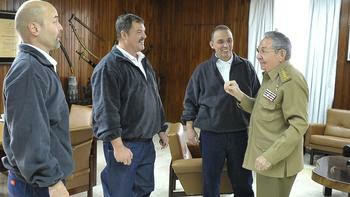 Cuban President Raul Castro (r), meets with the last three of the “Cuban Five" spies who were released from U.S. prisons. 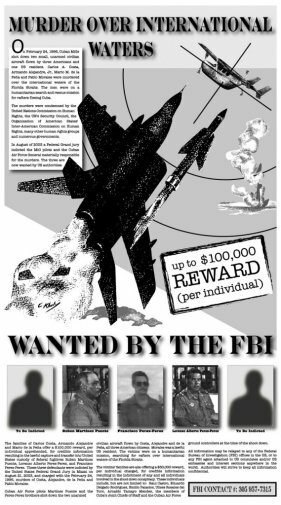 There is a $100,000 reward for each of the pilots involved as well as the two others to be indicted. "Matt Lawrence and Thomas Van Hare have written an important book detailing an infamous chapter in the history of the Castro dictatorship and a weak United States Administration. By documenting the Cuban regime's espionage activities and the calculated, cold-blooded murder of four humanitarian pilots, BETRAYAL: Clinton, Castro & The Cuban Five is a timely reminder that the United States must be vigilant against repeating the mistakes of the past. To anyone interested in gaining insight into the utter malevolence of the Cuban dictatorship and the hazards befalling U.S. Administrations who coddle it, I recommend this book." The agent who uncovered Cuban spy, Ana Belen Montes, working in the DIA. "I wish I was a wealthy man. I would buy 300 million copies of BETRAYAL: Clinton, Castro & The Cuban Five and provide a copy to every single American citizen, by way of warning: The men who murdered, with impunity and arrogance, three American citizens and one Permanent Resident Alien in the Straits of Florida on 24 February 1996, remain in power off the coast of Florida. BETRAYAL: Clinton, Castro & The Cuban Five exposes their crime and holds them accountable. Read it." BETRAYAL: Clinton, Castro & The Cuban Five is the closest anyone has come to the truth of the events surrounding February 24, 1996 and leaves no doubt in readers' minds that officials within the United States government had prior knowledge of the planned shoot down of Brothers to the Rescue. This gripping account is a must read for those interested in the politics of politics." "BETRAYAL: Clinton, Castro & The Cuban Five tells a stunning story of international intrigue and murder, revealing the truth behind the shootdown and attempted cover up of two Brothers to the Rescue aircraft on February 24, 1996." "On 24 February 1996, Cuban MiGs shot down two of three unarmed American light aircraft over international waters off the Cuban coast. The four pilots died. 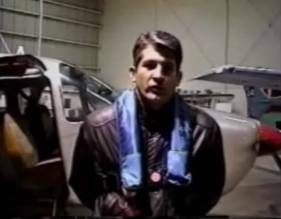 The third aircraft escaped and spread the word. The United States government responded with diplomatic gestures. Matt Lawrence and Thomas Van Hare think more should have been done. Betrayal explains why.... Betrayal is a sad story of a humanitarian effort eventually shut down by Castro and international politics." In gripping detail, BETRAYAL: Clinton, Castro & The Cuban Five reminds readers that Cuba's 1996 shoot down of two civilian aircraft in international airspace was an act of international terrorism. Lawrence and Van Hare's well-researched account highlights the key role of Cuban spies and the Castro brothers in this premeditated murder of four search and rescue pilots. The authors also examine how a high-ranking Cuban spy in the U.S. Government shaped the Clinton administration's timid response and emboldened the Castro regime. The lesson learned by Havana was clear: in dealing with the U.S., you can get away with murder. Anyone looking for insights into the volatile relations between the U.S. and Cuba needs to read BETRAYAL: Clinton, Castro & The Cuban Five." "A major contribution to understanding American policy and U.S. confusion about Cuba's intentions." "BETRAYAL: Clinton, Castro & The Cuban Five by Matt Lawrence and Thomas Van Hare tells with absolute clarity how Cuban MiGs in an act of cold-blooded murder shot down two humanitarian rescue planes in international airspace killing four Americans." "I could not put it down as I read page after page of accounts of deception and murder."